The author of several liturgically-related works, J.B. OConnell is noted for his ability to clearly explain the complex ceremonial workings of the Roman Rite, particularly for the celebration of Mass by the priest. 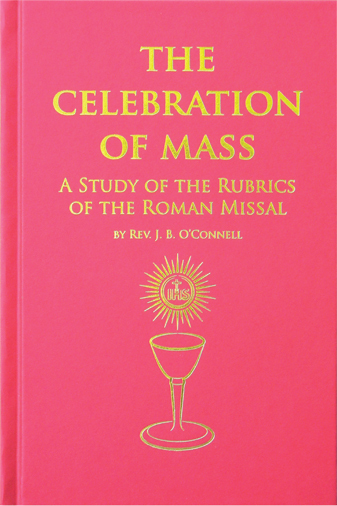 This book is the indispensable rubrical resource for the traditional Roman Liturgy. This book is valued by clergy and laity alike, not only for its concise handling of the general rubrics, but also for its chapters that briefly describe the history of the development of the traditional Roman Mass, liturgical law, the proper understanding of the force of custom, the importance of the decisions made by the Sacred Congregation of Rites and the opinions of fellow rubricians. 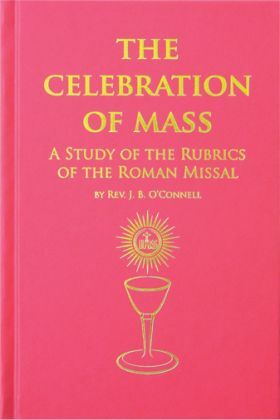 OConnells last revision made for the Roman Mass was printed in 1964 after a span of nearly 10 years from his last edition, making it one of the few rubrical books completely in conformity with the new code of rubrics implemented in 1960 that comprise the 1962 edition of the Missale Romanum. Fully indexed and beautifully hardbound in bright red with gold embossing on the cover and spine. This is a must for any priest offering Mass according to the 1962 Missal of the Church's sacred liturgy.